Professor Dr. Dirk Holtbrügge is Professor of International Management (Head of Department) at the School of Business and Economics, Friedrich-Alexander-University of Erlangen-Nürnberg, Germany. He received his doctorate and his habilitation from the University of Dortmund, Germany. He was offered chairs at the Technical University of Hamburg (2010), AKAD Wissenschaftliche Hochschule Lahr (2000), RWTH Aachen (2000), and ESCP-EAP European School of Management Berlin (2000). He was a visiting professor at the State University St. Petersburg and occasionally holds lectures at universities in China, India and Russia. His main research interests are in the areas of international management, human resource management, and management in emerging markets. He has published seven books, eight edited volumes and more than 70 articles in refereed journals such as Academy of Management Learning & Education, Asian Business & Management, Business Strategy and the Environment, European Journal of International Management, European Management Journal, Human Resource Management, International Business Review, International Journal of Cross Cultural Management, International Journal of Emerging Markets, International Journal of Human Resource Management, Journal of Business Ethics, Journal of East European Management Studies, Journal of International Business Studies, Journal of International Management, Journal of Global Marketing, Journal of Product Innovation Management, Management International Review, and Thunderbird International Business Review. He is also a member of the editorial boards of International Journal of Cross Cultural Management, International Journal of Emerging Markets, Journal for East-European Management Studies, Management International Review, and Managementforschung. 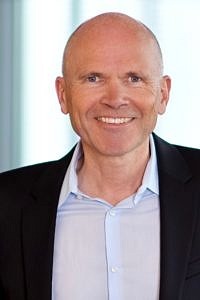 In December 2014 he was listed in a research-related ranking of the newspaper Handelsblatt for the third time in a row as one of the top-100 professors of business administration in Germany, Austria and the German-speaking Switzerland. Since 2004 he has acted as the Dean of International Programs and Deputy Chairman of the Examination Board for the MBA Business Management, School of Business and Economics, Friedrich-Alexander-University of Erlangen-Nürnberg. He has large experience in executive education and works as a consultant for firms in Germany and abroad. In his free time, he likes traveling, reading, listening to music, tennis and skiing.